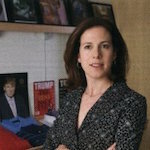 Cathy Hoffman Glosser has joined Iconix Brand Group Inc. as SVP Licensing & Retail Development at Iconix Entertainment. She joins from The Trump Organisation where she was EVP Global Licensing having been there for over 10 years. She also worked as a consultant at The New York Times and in licensing roles at Marvel Entertainment and Saban Entertainment.